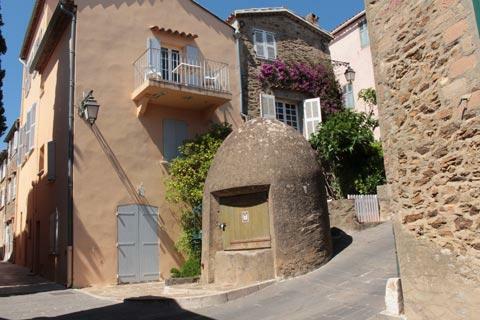 Gassin is a lovely village perched high on inhospitable rocky land above the Mediterranean Sea. 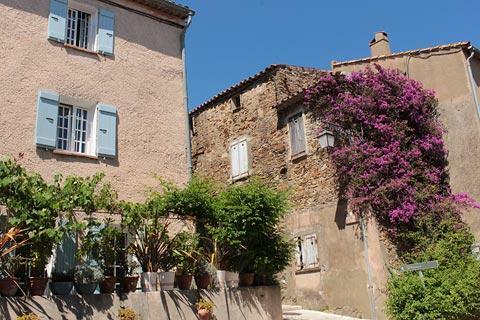 The village is classified among the ‘most beautiful villages of France’. When you arrive in Gassin you can start your visit at the orientation table near the highest parking area. 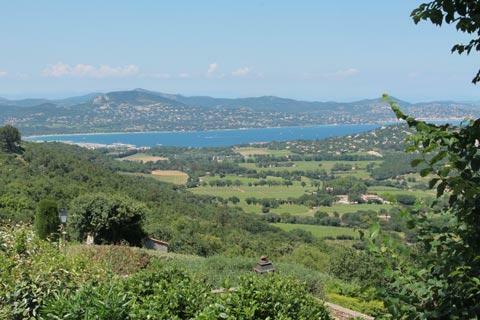 From here you have a magnificent view of the Bay of Saint-Tropez and the surrounding hills: you can see a great deal of coastline including the resorts of La Croix Valmer, Saint-Tropez, Griamud, Sainte-Maxime and Les Issambres as well as the Massif des Maures to the north. 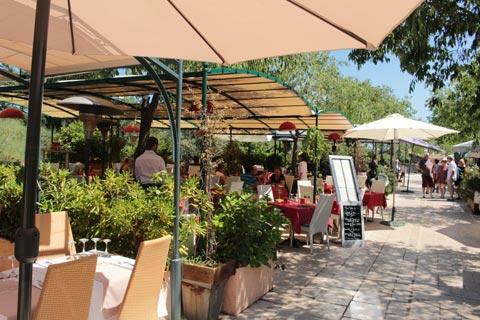 You can continue by walking along the medieval terrace - the Promenade Dei Barri - and you come to some more splendid views and a few very nice restaurants with tables set out to look over the panoramic views. This really is an unbeatable spot to stop for lunch. 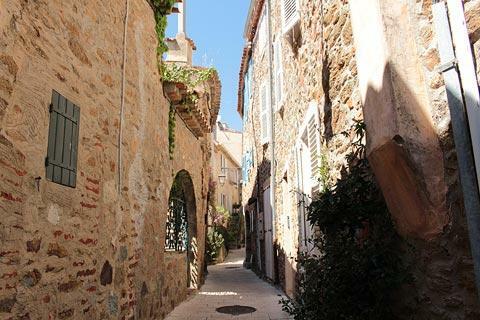 The historic village is small and even the main square is hardly wider than a road - but wandering round the ancient streets of Gassin is a treat. Look out for the old well and the street called l’Androuno - claimed to be the narrowest street in the world (I decided to walk round rather than try and squeeze through!). Everywhere you walk the delicious scent of Jasmine hangs in the air. 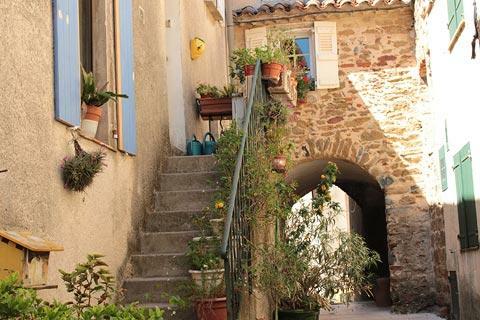 You will also enjoy a stroll around the garden L'Hardy-Denonain towards the south of Gassin which presents examples of many of the plants that we associate with Provence: this garden is officially classified as a 'remarkable garden' in France (closed Thursdays). 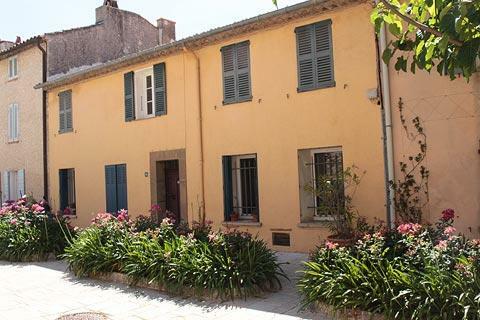 There are perhaps not many historic monuments in the village (unless you count the houses! ), but you will see the Notre-Dame-de-l'Assomption: this is a 16th century church in the roman style with a square belltower. We were disappointed not to see a campanile on the church tower! Another religious monument is the Chapel of the Notre-Dame-de-la-Consolation, an 11th century chapel in a small park just below the main village. In the past five cork makers worked full time during the 19th century and silk worms were also raised here before being sent to nearby Cogolin (a village still renowned for its arts and crafts). 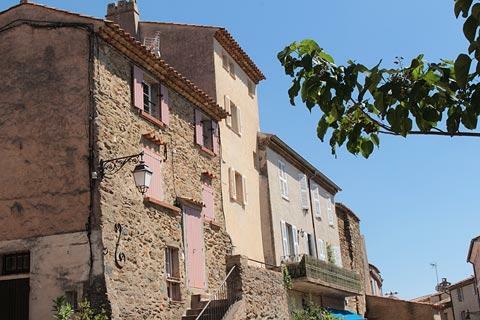 The other main trade was charcoal making by the village 'bousquetiers'. 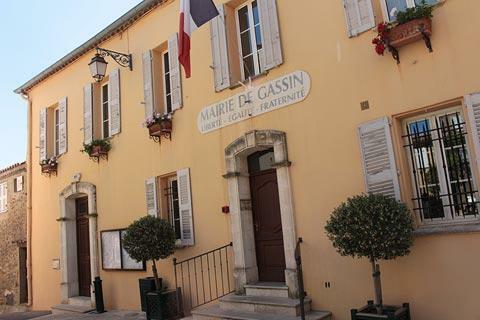 Interestingly the new village of Gassin which has been built below the medieval village has been awarded the first prize for the best new town in Europe. 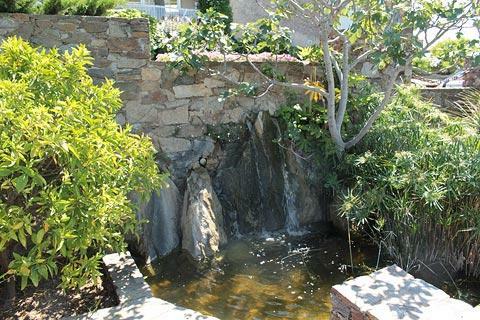 It was designed by Francois Spoerry who also won acclaim for designing the nearby Port Grimaud. It is true it has been very well designed using a style based on but not replicating the style of the medieval village above. 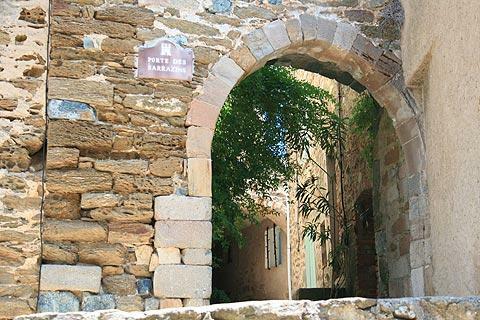 The village of Gassin is closely linked to the village of Ramatuelle: the villages were both originally created to allow the locals to escape the pirates who were numerous in the Mediterranean waters and will usually be visited as part of the same tour of the region. 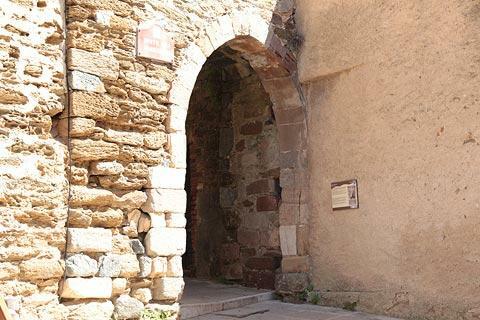 See Ramatuelle guide. 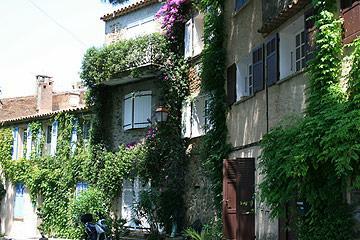 There are numerous beaches close to Gassin, including the famous beach at Pampelonne, and some parts of the attractive coast fall under the protection of the Conservatoire de Littoral, an organisation established to preserve the flora and fauna along the coast and across the Saint-Tropez peninsula. 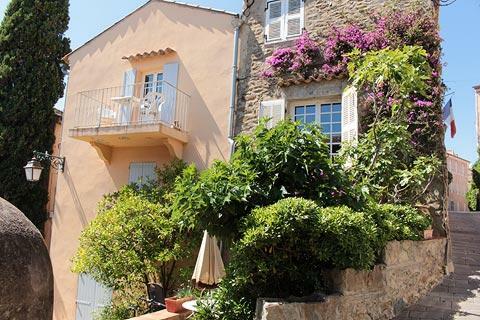 Our favourite resorts on the coast south of Gassin include Port Grimaud and Saint-Tropez.